A believer is very important to observe Church etiquette, which differs significantly from the secular. For example, meeting the priest on the street, you need to refer to it in a special way. Having met a priest without vestments on the street, greet them with a nod or say Hello as usual, wishing a good day. On Easter day we can say "Christ is Risen!". Offer a hand to the priest only if you personally and have long been familiar with him. Otherwise it will be perceived too familiar. Met a priest in vestments (cassock with a cross or in the liturgical vestment with stole and in charge), ask him about the blessing, this will be your greeting. Closer to the priest a little bow, put right hand on left, palms up and say: "Father, bless". In response, the priest will impose on you the sign of the cross and can even put your hand in your clasped hands – her need to kiss as the hand of God himself, who is invisible blesses you through the priest. If the priest put his hand on your head, then kissing her is not necessary. If there are several priests, led by Bishop (managing the whole diocese), with the blessing come only to him. If many priests and Bishops among them, come and ask the blessing from a senior officer. You can find it at the cross that the priest wears on his chest. Archpriest carry the cross with decoration, the priest wears a gold or silver cross. If you took a blessing from a priest, and next, there are a few, refer to them with the words "Bless me, Reverend fathers" and worship. If you are in a group of believers, with the blessing of the first to approach men according to seniority (the Ministers of the Church in the first place, as if setting an example), then in order of seniority are women, the last one the children (according to seniority). This rule applies to family: first choice husband, wife, then children. Goodbye again ask the priest's blessing with the words "Forgive me, father, bless". A telephone conversation with the priest must begin with the words "Bless, father". Next, let the point at which you call. The conversation will end with a request for re-blessing. Speaking of the priest in the third person or referring to him, say: "Father Abbot blessed". A combination of "father" and the name of the priest is used in a purely official occasions. Remember, to treat the priest need with great reverence and respect. Follow the decency of their attitudes, gestures and even facial expressions. Slang and coarse words unacceptable. Gestures are minimal. Do not touch in conversation with the priest, observe a certain distance. If a Minister of the Church is to stand must you. Your eyes must be gentle and humble. 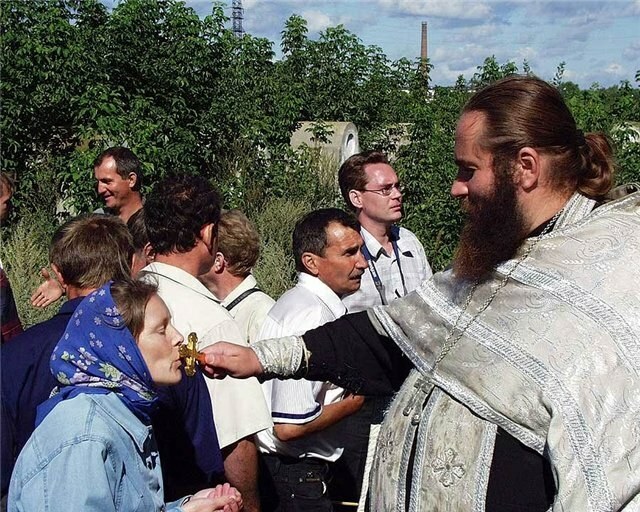 Remember, Orthodoxy is not accepted to speak to the priest "father". Say "honest father," for example, "Pray for me, Reverend father". Many people believe that the most effective way to solve their problems is to write a letter "up", whether the President or the Patriarch. But regardless of the recipient reading, sorting, and analysis of correspondence - the case of other employees, not less important. 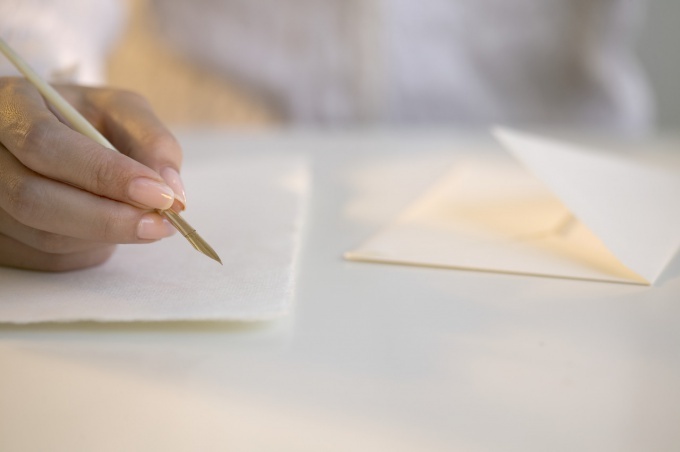 To ensure that the letter has been read, it is necessary to write simply, clearly and accurately. Must comply with all the subtleties related to the appeal to the spiritual person and the name of the organizations and structural divisions. We need to begin with'. In the upper right corner of the letter you should write: "his Holiness the Patriarch of Moscow //And all Russia Kyrill//Net pereulok, 5, Moscow, 119034. The sign // denotes a new line. Further, in the center of the letter: "his Holiness the Patriarch of Moscow and all Russia Cyril". The line below is necessary to specify from whom a letter. To contact the Patriarch to be "Your Holiness". It is important not to change the case of letters, not to make a capital letter lowercase! All letters to the heads of organizations, whether they are secular or religious, pass through the office and its employees. The letter is a structural unit will be referred to as "the office of Patriarch of Moscow and all Russia." Head office - Archpriest Vladimir Diakov. The written form of the appeal will be as follows: "to His Reverence, Archpriest Vladimir Divakov, head of the Chancellery of the Moscow Patriarchate. In some cases it makes sense to send a letter in the office. To clarify, there came a letter, by phone office: (495)201-28-40. Fax: (495)201-25-04. A letter to Moscow takes 3-4 days, in other cases it is necessary to clarify the time of passage of correspondence in his post office. 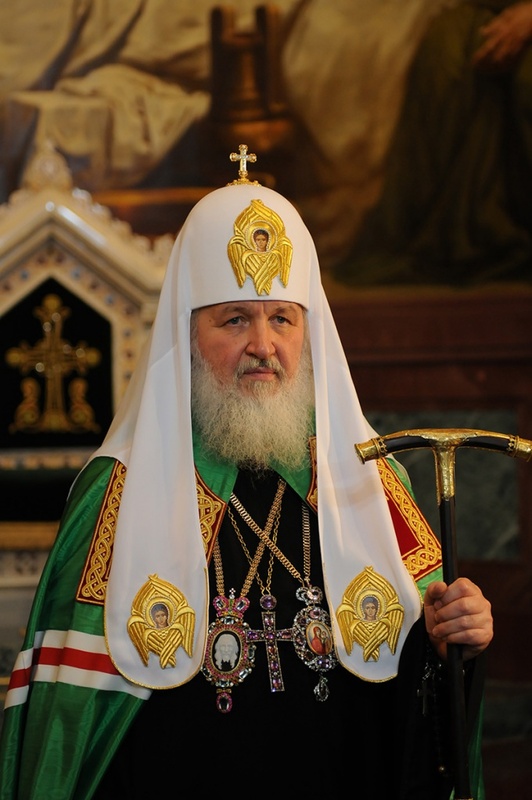 It is important that the Synodal information Department of Russian Orthodox Church are free to call from any end of Russia: +7(800) 100-33-53. Phone in Moscow: +7(495) 781-97-61. You can also write an email to the following address: contact@sinfo-mp.ru. This Department was created two years ago by decision of the Holy Synod of 31 March 2009. The Chairman of the Information Department appointed the chief editor of magazine "Foma" Vladimir Romanovich Legoyda. To ensure that the letter has been read and understood, is to open a tutorial style. Proposals must be complete, clear thoughts, logical arguments. It is worth to remember about literacy and the visual appearance of the text: the margins and the margins. It is desirable to Express the subject line on the first page. It's kind of a form of politeness: saving time and effort of the employee, who will have to read this letter. After a lot of letters. And every the most important.